HomeMan UnitedWho Is Nikola Milenkovic, The Serbian Centre-Back Jose Mourinho Scouted On Thursday Night? Who Is Nikola Milenkovic, The Serbian Centre-Back Jose Mourinho Scouted On Thursday Night? Jose Mourinho has a thing for Serbia’s matches in recent years. He watched Serbia in Vienna against Austria last autumn, but this time, he visited Montenegro, for a Nations League match between the two national teams. 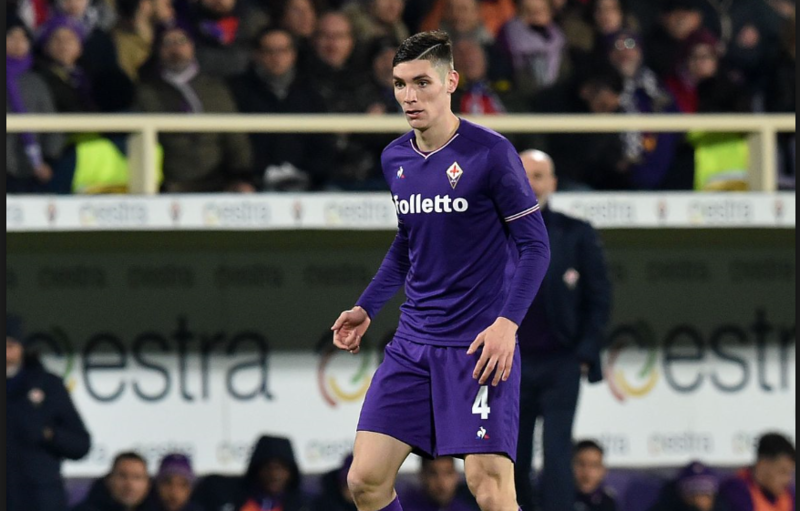 Reports in Serbia are adamant that Mourinho arrived to take a closer look at Nikola Milenkovic. There was also the talk that Mourinho came to watch Sergej Milinkovic-Savic from Lazio. However, the midfielder has just signed a new contract with Lazio and also, there was not a real chance of Milinkovic-Savic starting the match, as he is expected to be in starting XI against Romania on Sunday. Still, let’s get back to the Serbian centre-back. He will turn 21 on Friday, currently plays for Fiorentina and many scouts and pundits believe he is the next big thing from Serbian football. His performances in Italy have truly helped those claims. So, who is Nikola Milenkovic? Back in March this year, no one really expected Nikola Milenkovic to go to the World Cup, but forward to early May and everyone was certain he was not just going to go to Russia, but that he was bound to start in starting XI. He did play all three of Serbia’s matches in centre of the back four and he thoroughly impressed in matches against Costa Rica, Switzerland and Brazil. Yet, it is not in World Cup that he shined. He has been exceptional ever since joining Fiorentina in 2017 as a 19-year old boy with just one season of senior football in Serbian Superliga under his belt. Milenkovic is just 21 and he oozes calmness. Everything about him seems composed – he is intelligent and makes good decisions. For his height of 195 cm, Milenkovic is very confident on the ball, and whilst not being the fastest of defenders, he reads the game very well and has a long stride, which helps with catching opposing forwards. He is physically strong and can “get in a fight” with forwards. Last season he even played on right-back – a position that is not natural to him – against Juventus and he managed on several occasions to stop both Gonzalo Higuaín and Mario Mandzukic, quite physical type of strikers. Could Milenkovic Become Another Serbian Centre-Back At Manchester United? In a word – yes. However, there are some things we need to discuss first. Manchester United can get him – he plays for Fiorentina and that is a club you can negotiate things with. Would Mourinho like a player of his attributes in his team? Yes, though rushing him into becoming a starting centre-back for Manchester United would not be the smartest thing, simply because at 21 expecting that is not always realistic. What is Milenkovic’s potential? My personal opinion is world-class centre-back. Not to the level of Nemanja Vidic – a very few players in the world attain such levels, but he can get really, really good. Diego Simeone and Atletico Madrid are also following him and that speaks volumes. His rise has been fast and Man United might really go for him next summer. If that happens, the club and Mourinho should not rush him and put too much pressure on him. Though, he seems to like pressure, at least from what we have seen in his career. He likes to be challenged and seems to have the right mentality to become a great player – works hard, a decent, dedicated guy and he seems bound to make great things in his career. At Man United? Let’s wait and see.